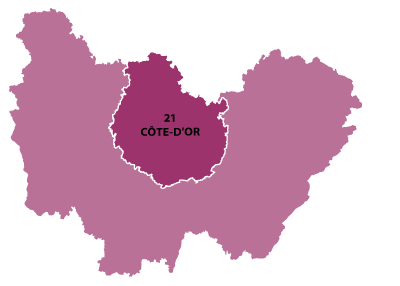 Dijon is in the Bourgogne Franche-Comté region. 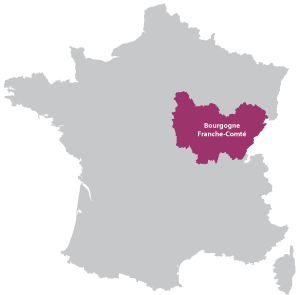 The ancient capital of Burgundy was once called Divio. The city of Dijon offers very interesting historical visits, cultural activities and fine restaurants. Not only famous for mustard, it was also the birth place of Gustave Eiffel, who built the Eiffel tower in Paris. Places to visit in the city would be the catherdral Notre Dame, Saint Michel, the palace of the Dukes of Burgundy, the old shopping streets with the indoor market, and also the main Burgundy vineyards begin just to the south of the city. The city is the most important between Paris and Lyon, with major road communications and the high speed train called the TGV, which also connects to Lille for the Eurostar to London, getting to and from Dijon is easy. The new "LINO" ring round and tram-lines have made travel in the city much easier. There are also miles of cycling lanes and bikes to rent. The city has the largest amount of buildings which are more than 300 years old and still standing, in France this make the old centre very agreeable to walk around, for example the Rue de la Chouette and Verrerie are very charming, with half-timbered houses and narrow cobbled streets. Dijon has a gourmet reputation and the choice of restaurants is vast, dishes for all tastes from all over the world. The famous Kir cocktail also originates from the city, created by the Cannon Kir, the drink is made of blackberries and is added to white wine or Champagne. Dijon is host to an annual food fair called "La Foire Gastronomique", which is held ever year at the end of October and attracts thousands of visitors. There is also the very popular Florissimo flower show which is held every 4 years, with beautiful displays by talented landscapers such as BCP who specialize in aquatic gardens. Information about expos and meetings. This is also where the famous Foire Gastronomique de Dijon is held ever year. A selection of high standing furnished apartment rentals for short-term stays in the historic city centre of Dijon. The beautiful city with a hundred bells. 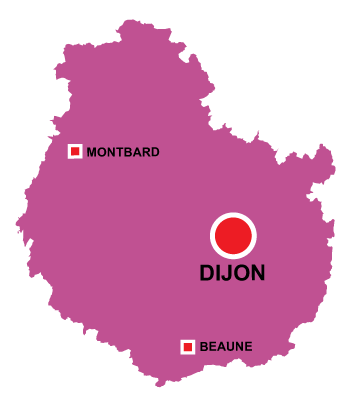 This excellent web site (in French) lets you explore the rich history of the city of Dijon.